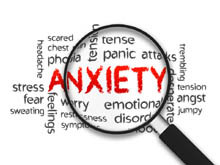 Did you know that you could live an anxiety free life and spend your days without worry? Well you can, and that too without the help of a doctor or a psychiatric. These 5 foods will give you independence from anxiety. 1) Blueberry- They are not just a tasty everyday fruit. Blueberries are rich in vitamins and phytonutrients or plant nutrients which help to reduce stress, tension and anxiety. The more you eat, the more it is beneficial. 2) Seaweed- Seaweeds are just as helpful. Not only is it rich in nutrients but also has a high count of magnesium and a high tryptophan content. Seaweed is a good alternative to people who are allergic to blueberries. 4) Chocolate- Delicious! Chocolate, especially dark chocolate without any added sugar or milk reduce cortisol and free you from stress and anxiety. Cortisol is the hormone that causes anxiety symptoms. Dark chocolate also improves mood. 5) Maca Root- Not the everyday food you see in the grocery stores. The powder of Maca Root is added to food and beverages. It is the richer in phytonutrients than any other food. The amount of magnesium and iron- two very important substances in controlling anxiety are also very high in Maca Root. These foods will help you in fighting anxiety but it is also important to consult a doctor. Hope this will help you to get rid of all the stress and bad mood in your life.